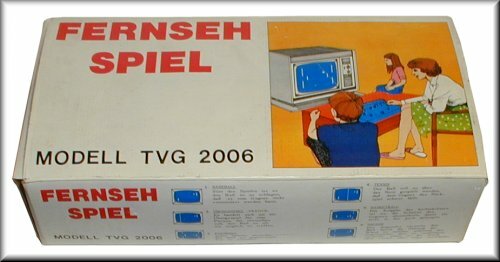 Mestron (supposedly a German manufacturer) released the Fernseh Spiel (Television Game in german) in 1976 (model TVG 2006, TVG being the obvious abreviation of Television Game). Interestingly, this game is a copy of the British VideoSport MKII game, released in 1974 or early 1975. 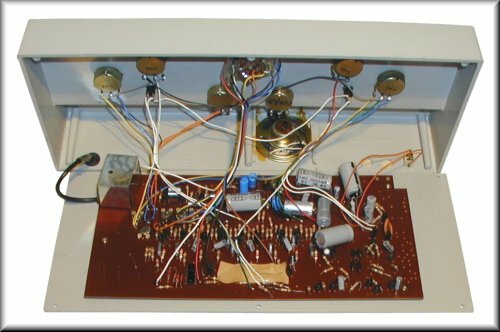 Consequently, the system kept the same analog technology: two TTL chips (7400 type) and discrete components. All the graphics are drawn by transistor circuits. The most interesting side of this game is that Mestron did better by adding three additional games. Originally, the VideoSport MKII played Tennis, Football and Hole in the Wall. Mestron added Baseball, Practice and Basketball. This seems to be a Tennis variant without the central line. Yet we did not test the unit, the game could only differ from Tennis by the ball motion, if it ever changes. This is the classic game played by almost every analog system: squash in solo. The second player has an infinite height and forms a vertical line on which the ball bounces. This game is rarely seen on analog systems, but existed in almost every pong system using a game chip. The goal of this two player game is to let the ball go in the opponent's goal. The game every pong system plays... This version is very simple, without on-screen scoring. This is an interesting variant. On most analog systems that can invert the second player so as to form a wall with a hole, one can easily play basketball in solo by putting the hole on the top of the screen. Here, the hole is still there, but the game is played by both players, because the system draws the additional basket (which is rather a wall with the hole...). Mestron TVG 2006 box with an amazing illustration, and the main unit. 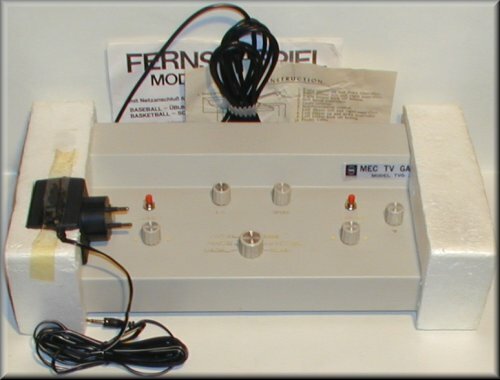 The system originally came with a power supply and instructions. but with a few more components for the three additional games.